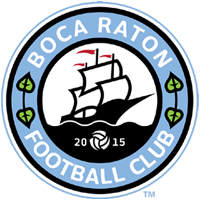 The 2015 American Premier Soccer League champions, Boca Raton Football Club has been selected to play in the most prestigious tournament in the United States, the U.S. Open Cup. The tournament will begin for Boca Raton FC in October as they battle fellow fourth division clubs in the hopes of advancing far in the tournament. As a fourth division club, Boca Raton FC begins their journey through the U.S. Open Cup much earlier than other teams like the L.A. Galaxy, Seattle Sounders, or Orlando City. The first two qualifying rounds of the U.S. Open Cup take play in October and November of this year, and if Boca Raton FC advances past these two rounds, they will await the draw of the MLS, NASL, and USL teams that will take place in January of 2016 to determine their next opponent. Over 400 clubs attempt a berth in the U.S. Open Cup, but not all are awarded a spot. Many criteria’s must be met for a club to be awarded a spot in the third-longest running national tournament in the world. Although soccer in the United States doesn’t have the same history as other countries around the world, the U.S. can still claim the third-oldest continuously running national tournament. The first U.S. Open Cup, then called the National Challenge Cup, was played in 1914 and has continued every year since. England’s FA Cup is the oldest association tournament in the world, beginning play in 1871. It’s not often that lower division teams get a chance to knock off one of the big dogs of American soccer. MLS teams enter in the fourth round of the tournament and every year the 16 remaining NASL, USL, and amateur clubs get a shot. In 2014, four MLS clubs were knocked out in the fourth round, and two NASL clubs made it all the way to the quarterfinals. The only non-MLS club to win the tournament since MLS teams began competing in 1996 was the 1999 Rochester Rhinos of the A-League (2nd division). However, despite the lack success of lower division clubs, the national media exposure that a club receives in playing in the U.S. Open Cup is enough to launch the career of some players that otherwise would have gone unnoticed in the lower divisions. On September 12, Castillo and his coaching staff will look to identify male soccer talent in the area as he builds to his team as they prepare for the 2016 U.S. Open, interested players must sign up early online. The tryout date at Boca Raton High School,1501 NW 15th Ct, Boca Raton, FL 33486, is Saturday, September 12 at 8:00 am. For more information, click here.